I never thought that being a working mom VS being a stay at home mom would be such a controversial topic. In the year 2019, I still see people surprised by a woman’s choice to stay or not to stay home to raise her kid/kids (yes I have seen surprised faces for both decisions). But guess what? Nobody has a say in this apart from the mother and the father of the child/children. So do not mistake this post as a guidance or taking sides post; it is just my personal experience and what works for me and my family now, at this stage of motherhood while acknowledging that what works might be different at a later stage. Let me start from the beginning which is at my senior year at university when we had to apply for a job. I always had good grades and I was very ambitious so coming from a BSc Accounting and Finance degree, the next step was becoming a Chartered Accountant. I was one of the successful candidates to the trainee programme of one of the Big 4 accounting firms which meant long working hours, stressful environment and lots of opportunities to learn and develop but also to be rewarded and promoted. I was not afraid to work on the most demanding projects; on the contrary, I was welcoming every opportunity with open arms because I knew what it would mean for my career. And I was not wrong. All my hard work and tremendous effort was rewarded with bonuses and promotions while I was gaining valuable knowledge that I never thought it was possible for a 25 year old. After completing 5 years at my first job, I decided I had gained enough knowledge to move on to a new role so I got my dream job at a shipping company. And even though the workload remained enormous, or shall I dare to say even more than my previous job, I was thoroughly enjoying it because this is what I wanted to do. My husband, who I was with even before my first job, was supporting me and rooting for me since day 1 and we were always understanding with each other’s workload while managing to find time for us. 2 years in my dream job, I gave birth to our son. And then, the difficult part began. In Cyprus, maternity leave was only 4 months (now I think it is 6 but back then it was 4). 4 months! I was fortunate enough to be able to work from home some hours and it was manageable for the first year. I also had support from my mom who also arranged her working schedule so that she could be with my son some hours on a daily basis so that I could be at the office. Ideal scenario right? Yes, for the first year. The second year, I had a toddler who wanted and needed my undivided attention when I was at home. The workload was the same because business was thriving in Cyprus and no matter how many things I was delegating, I was still in over my head. I was working hard to try and balance both motherhood and my career that I worked so hard to build and I was enjoying so much up until that point. I am ashamed to admit this, but I came to a point that all I wanted when my son was awake was for nap time or bed time to come so I could do my job. And this was also affecting him because he was feeling my anxiety and he came to a point that he couldn’t tolerate me being even for a second on my phone or on my laptop anymore. So I was faced with a dilemma. I either had to hire a nanny/find a nursery or quit my job. I wish I could say I came to a decision after careful consideration but things were not so subtle. I reached my breaking point at work and quit in the heat of the moment. A decision I think I ought to myself to have taken long before that but I was pushing myself to balance the version of motherhood I had in my head and the mother I wanted to be with the workaholic career oriented woman I was before becoming a mother. 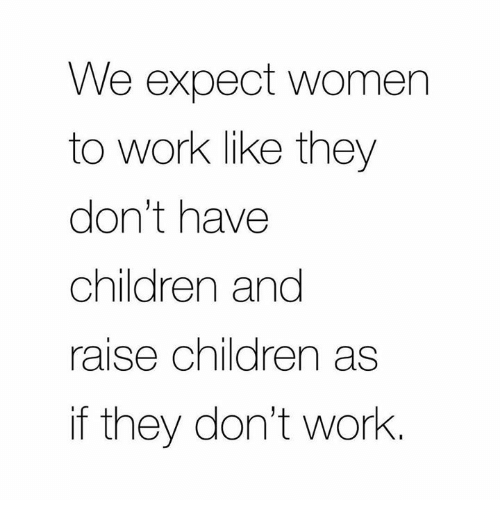 I ignored all the signs before my breaking point because “we expect women to work like they don’t have children and raise children as if they don’t work”. I read this somewhere recently and it made total sense to me; we are setting unrealistic standards for ourselves. Fast forward 9 months later, I am still a stay at home mom and I truly and wholeheartedly appreciate it because this is exactly what I need, what my son needs and what my family needs at this specific point in time. Our lifestyle is different because our household income has decreased but we are happier. One of my wise friends told me that career will always be there to chase whenever I want but our kids will not be this small forever and they will not need us as much. Yes, I do miss my dream job, I even feel guilty for leaving and I would love to return one day but for now, this is what works for us. Bottom line, there is no such thing as being a better mom if you work or if you do not work. Every mom is different and every mom should follow her instincts on this topic, same as on every topic, and nothing else. If you are a working mom, I see you and I am rooting for you. If you are a stay at home mom, I see you and I am rooting for you. If you are a working from home mom, I see you and I am rooting for you. We are all in this motherhood gig together.